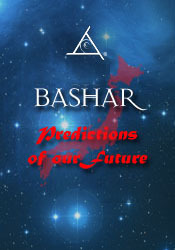 In Japan, Bashar gives an extensive talk on our immediate future including discussion of earth changes, risk of nuclear accidents, and economic changes and shares an in-depth overall timeline for the complete transformation of planet Earth. This session in Japan is focused on many issues that are important to us at this time and includes a powerful, healing guided meditation on "Creating a Positive Future". Will contact cause us to become more barbaric? Following excitement takes her farther away from her dream. Will humans become extinct in 3,000 years? Serving others to polish your soul. Sacrificing the self in order to be of service to others. Risk and use of nuclear weapons.